When Ed was in India a few months ago, he was able to connect with several new artisans and co-op groups that we’re now working with. Which means we’ll soon have a ton of new fair trade handbag designs to highlight here on the blog! Some are actually one their way as I write this. 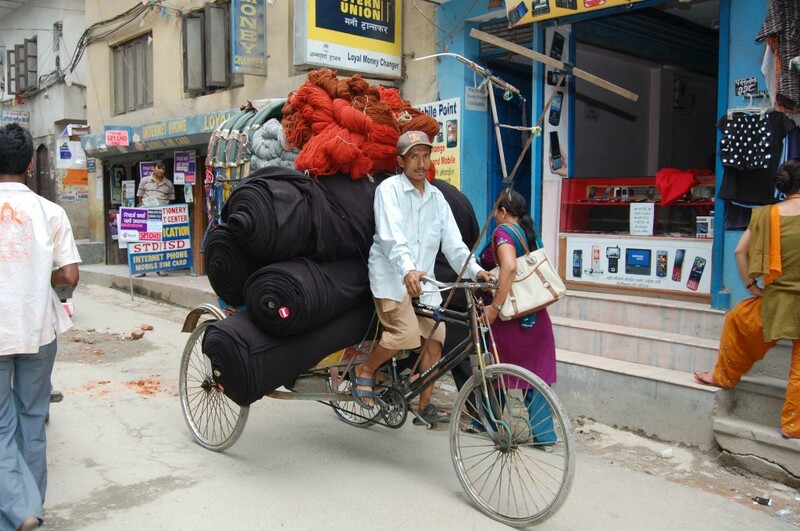 I wanted to post a few more pictures from his scouting trip through Kathmandu’s garment district. I love these pictures because they’re so vibrant and full of life. And, they really illustrate what life is like for the people we’re working with here at Earth Divas. 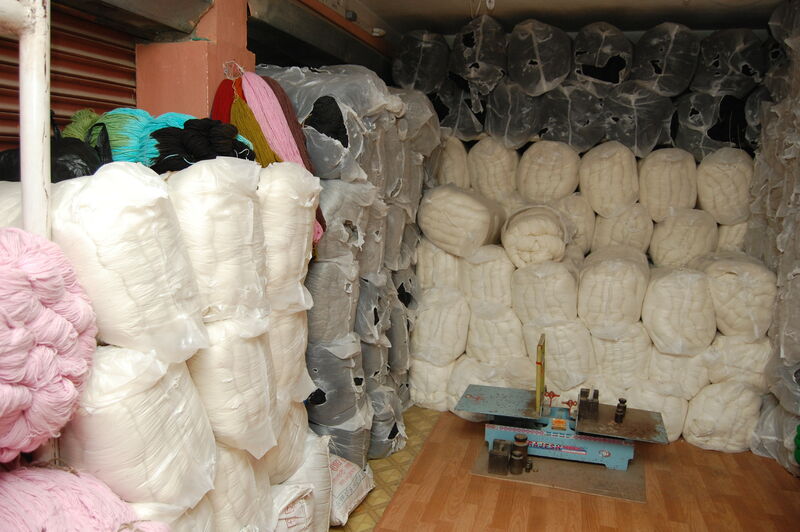 What’s amazing is that so many of these fabric artisans set up tiny micro-businesses right in their homes. They have easy access to supplies like cotton, hemp and silk, and if they’re able to afford a sewing machine they’re in business. A lot of the fabric is sold right on the street, or out of trucks like you see below. 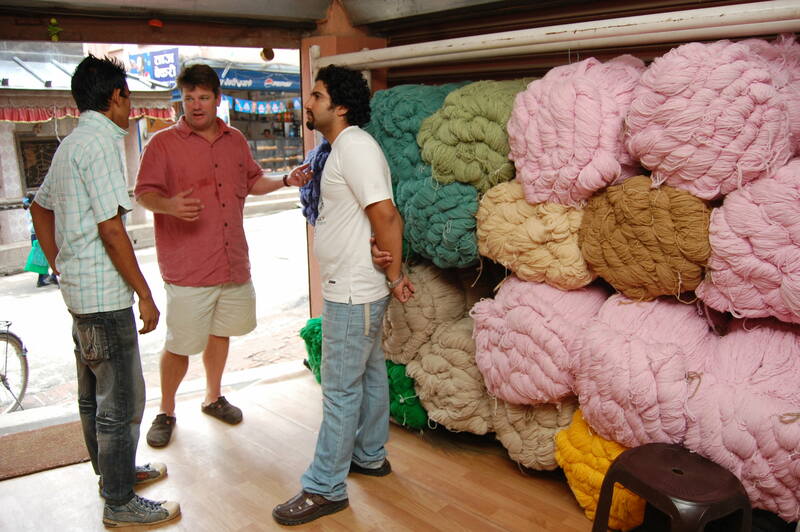 The guy in the middle of this picture is our very own Ed in the back of a wool yarn truck! Here are two Indian artisans making fabric patches. 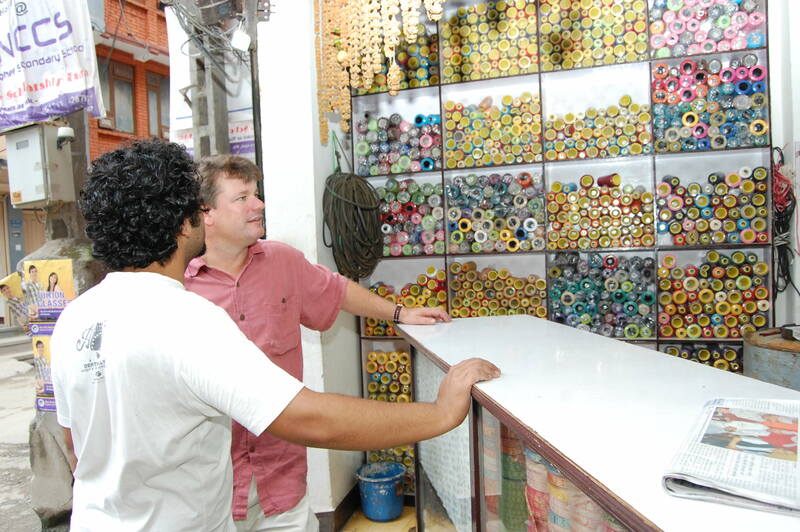 And, Ed in a cotton spool shop. I love the colorful circles of the cotton spools!